Cala Sinzias is the beach of everyone’s dreams: brilliant white sand, crystal-clear water and rich green unite in an enchanting play of colours. 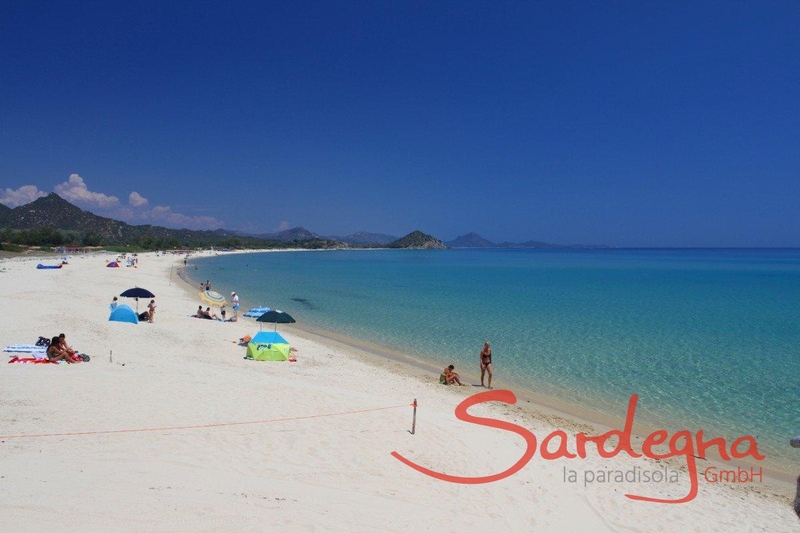 Nestled between Monte Macioni and Sant’Elmo lies a peaceful, untouched area that is still an insider's secret in Sardinia. The imposing lowlands of Cala Sinzias is covered in a dense layer of fragrant Sardinian maquis shrubs, cactus hedges, mastic bushes, dwarf palms, olive and eucalyptus trees, against the backdrop of the hills and peaks of the Sarrabus.The coastal strip remains sparsely populated today, and tourism tends to be more muted. This makes it the ideal destination for those who want to relax and enjoy the Caribbean-like beach atmosphere. 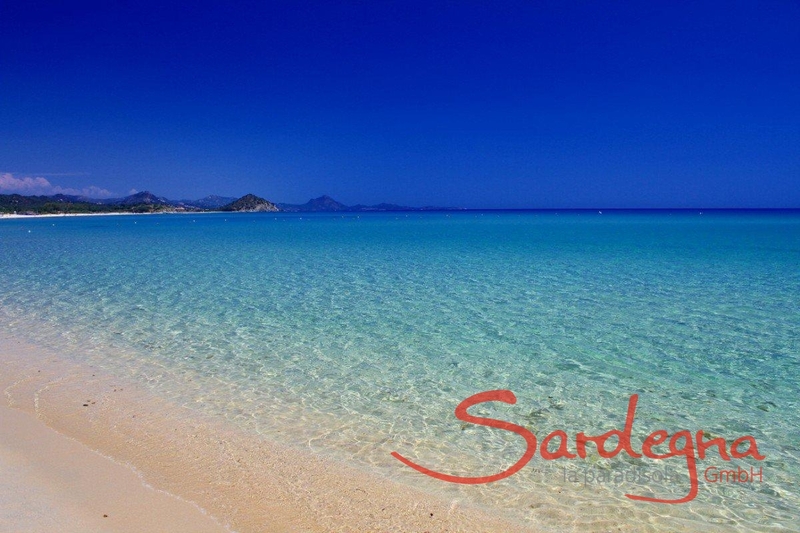 The fine, bright white sandy beach of Cala Sinzias stretches three kilometres between Costa Rei and Villasimius. 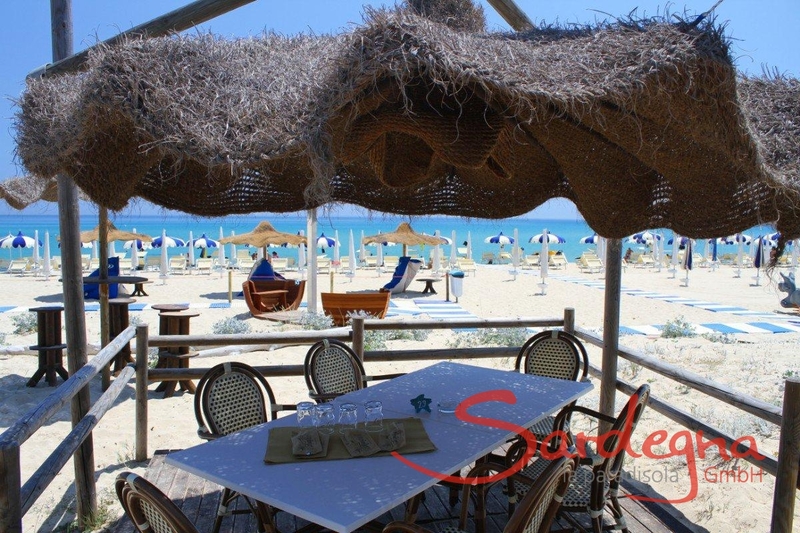 A handful of pretty bars and excellent restaurants guarantee the typical dolce far niente atmosphere by the sea. 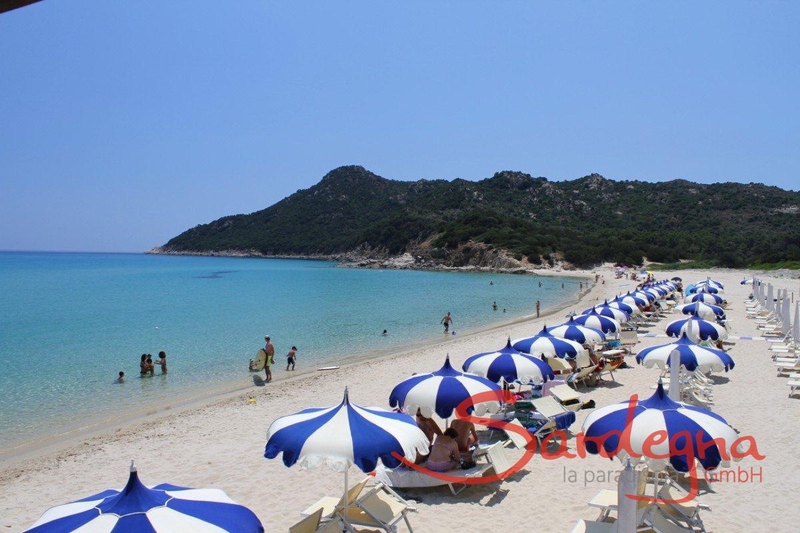 Cala Sinzias – the largely undiscovered seaside gem on Sardinia’s south-east coast. 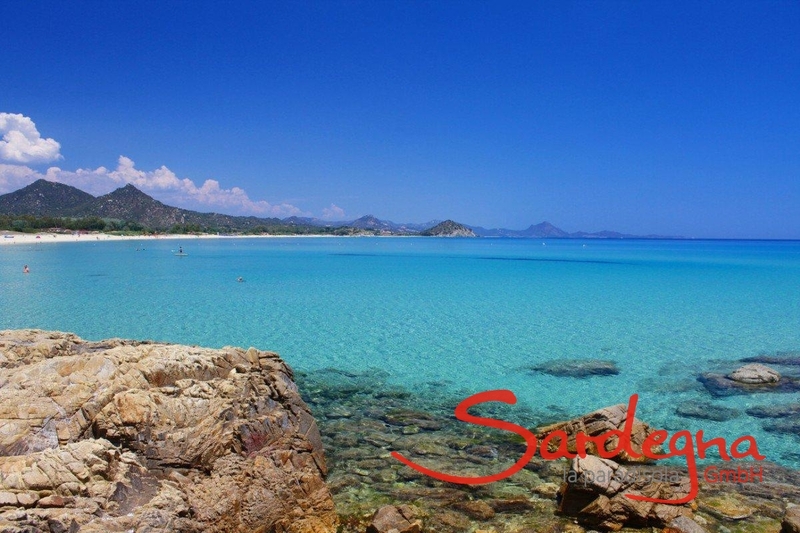 Active holidaymakers are in for a treat – Villasimius is home to a windsurfing school, a motor tour boat provider and a diving centre. But surfing and diving aren’t the only ways to explore the beaches along Costa Rei – visitors can also enjoy a relaxed horse ride along the sands. Li Conchi 1 - this dream of granite is enthroned on top of the hill. Li Conchi 10 - this dream of granite is enthroned on top of the hill. Li Conchi 14 - a house with lots of privacy. Li Conchi 15 - this dream of granite is enthroned on top of the hill. Li Conchi 16 - enjoy on your patio-terrace with stunning views of the bay of Cala Sinzias. Li Conchi 17 - this dream of granite is enthroned on top of the hill. Modern holiday grey granite villa in in the south East of Sardinia. Li Conchi 26- this dream of granite is enthroned on top of the hill. Li Conchi 28- this dream of granite is enthroned on top of the hill. Li Conchi 29 - a dream made of Sardinian stone in the second row to the spacious pool. Li Conchi 30 - fascinating architecture of gray granite in the second row to the spacious pool. Li Conchi 33 - a gem made of Sardinian granite. Li Conchi 34 - fascinating architecture of gray granite. Li Conchi 4 - this dream of granite is enthroned on top of the hill. Li Conchi 42 - this dream of granite is enthroned on top of the hill. Li Conchi 5 - this dream of granite is enthroned on top of the hill. Li Conchi 6 - a wonderful holiday destination for you to relax. Li Conchi 7 - this dream of granite is enthroned on top of the hill. Li Conchi 9 - this dream of granite is enthroned on top of the hill.